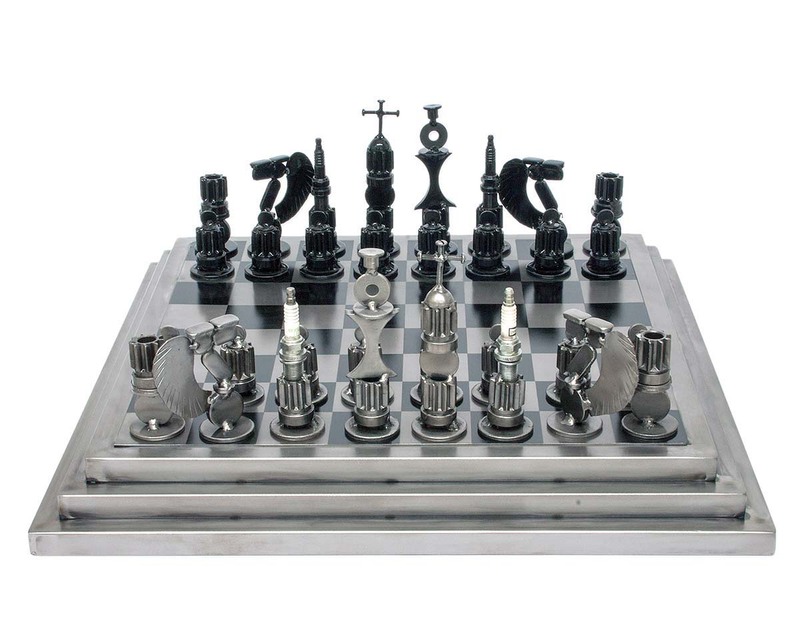 Chess games are usually made from wood, plastic, marble, etc., but sculptor Armando Ramierz has created what he calls his ‘Rustic Warriors’ chess set made from used auto parts. For example, the queen playing piece originates from a vehicle’s electrical components, the bishop is from discarded spark plugs and the castles and pawns are from various cogwheels. The board itself resonates with metal-on-metal sounds as the pieces are moved around. Each set is unique and buyers are reminded that the game’s patina includes plenty of scratches, smudges and general discoloration. Ramirez sells his Rustic Warriors chess set for about $235 through the National Geographic’s Web site www.novica.com.